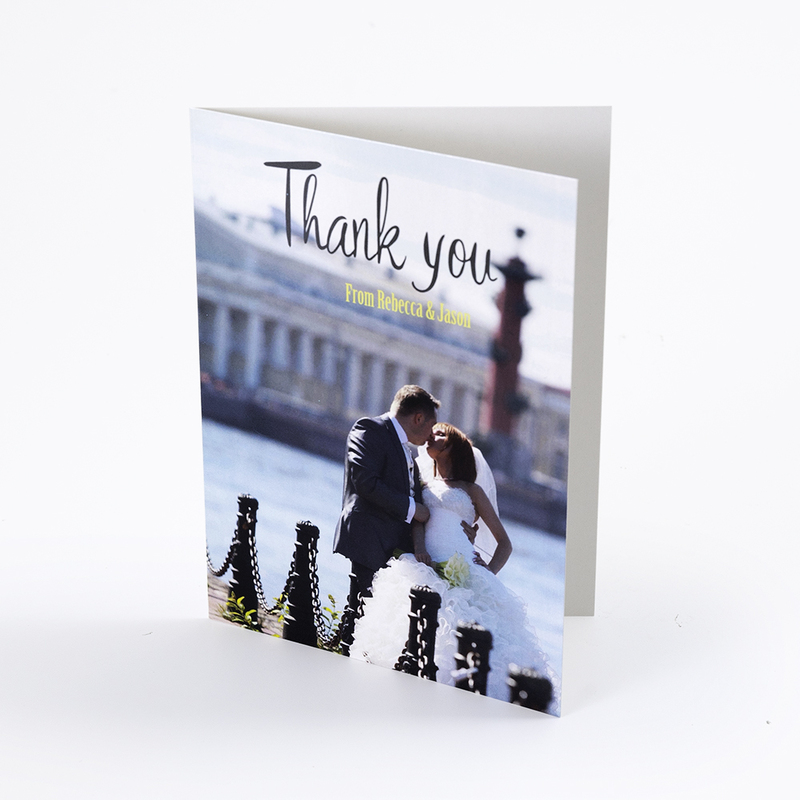 "I absolutely love PrinterStudio. 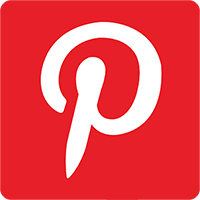 I was so pleased with my first purchases, that I've returned several times since to buy more items for myself and as gifts for several family members. 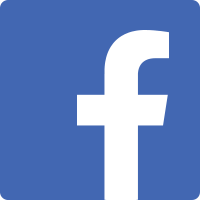 I have also told friends and family about the site. 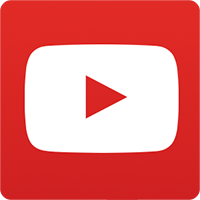 The quality and ease of design make this site a winner with me." 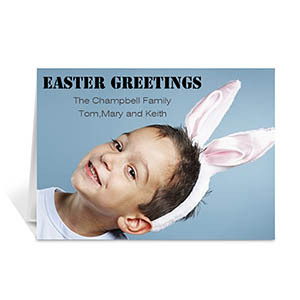 Easter parties are lots of fun for not just the kids but adults; get your Easter party start right with personalized Easter photo cards or custom Easter party invitations. 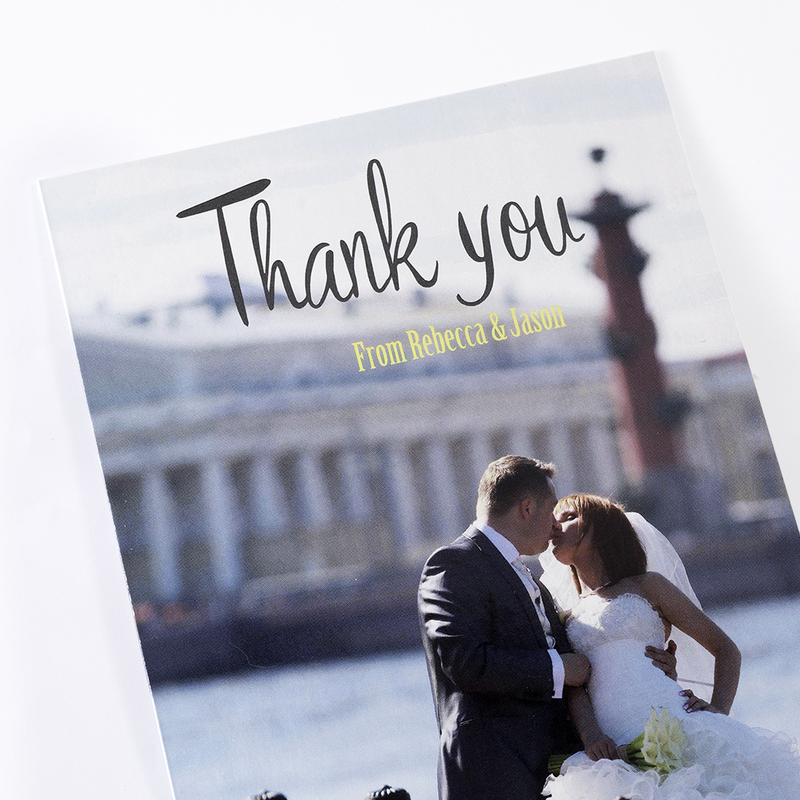 Our quality 5 x 7 photo cards are fully customizable with photos, designs or pictures and even your custom message. 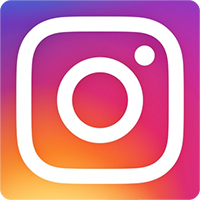 Simply choose a pre-designed photo cards template, and use our user friendly online editing tools to insert and modify your uploaded photos. 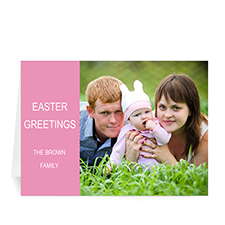 Enter your custom message in the text box you want to be printed on your greeting cards. 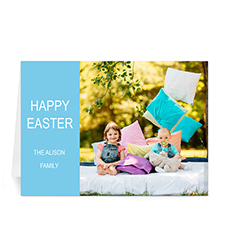 Before placing order, you can view an instant full color preview of your personalized Easter photo cards online and in real time to make sure everything is perfect. 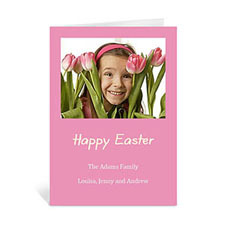 A blank envelope will be included per greeting card for mailing. 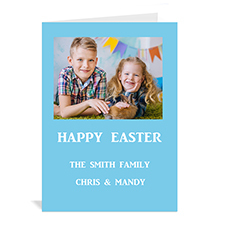 Photo cards with no minimum order required work great as custom Easter greeting cards, party invitation and Easter thank you cards.